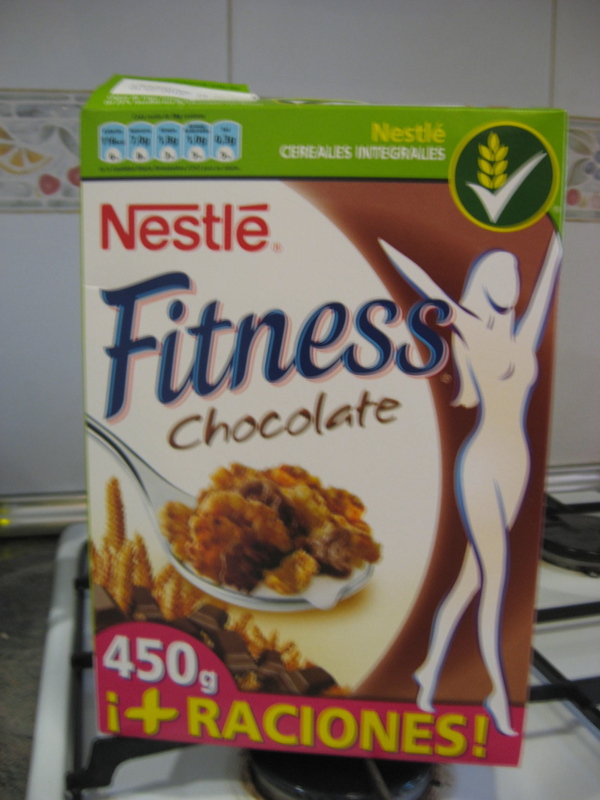 In America – as in Spain, where this box of cereal was found and photographed in my friend Dana’s apartment – we have cereal with chocolate in it. These cereals are called Cookie Crisp, Count Chocula, Cocoa Puffs or Krispies, and the like. Even self-dubbed dieting cereal Special K comes right out with it and and transparently heralds the joyful indulgence of their chocolaty offering, calling it Chocolate Delight. What makes this Spanish selection stand out is that it has been christened…Fitness. Represented, naturally, by a shapely ghost lady with no hands. In partial defense of the Spainards, I’m pretty sure fitness isn’t a word in Spanish at all.